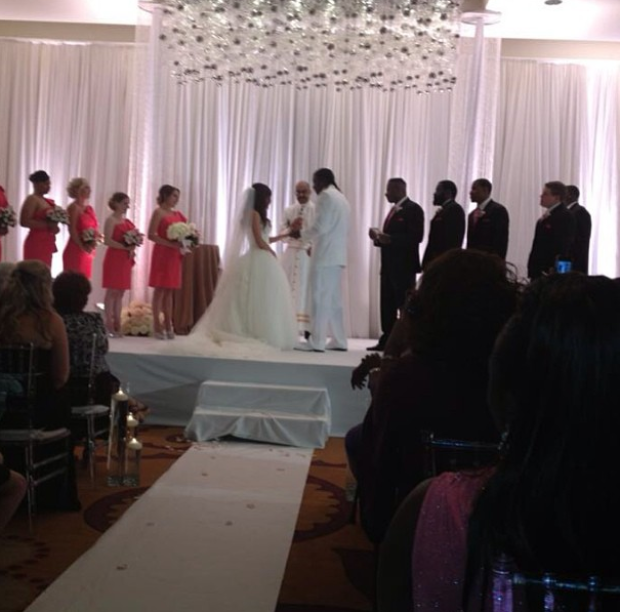 As you know, Robert Griffin III and fiancée Rebecca Liddicoat were officially married Saturday in Denver. Shortly after, either RGIII (or someone in his camp) posted a video to his official Facebook page along with this message: "Check out the first official video release of Mr. and Mrs. Robert Griffin III." This video is by no means new, though. It was uploaded to YouTube in March, but it didn't become viral until someone let it slip that there is an All-Pro quarterback underneath that freaky mask.